How do we craft new, effective tradable permit regimes which can achieve ambitious public policy goals? What significant problems are caused by uncertainty as to the nature of emissions entitlements? How do the property characteristics of exclusion, transfer and use apply to tradable entitlements? What is the role of contract law in the emissions market? How do tradable entitlements deal with the risk of regulatory intervention? How can emissions entitlements be compared to other rights regimes, namely intellectual property rights, milk quotas and spectrum licences? Can security rights be created in tradable entitlements, and can such rights be adequately enforced and protected? Many practical issues arise in the course of the analysis – for instance, the author provides proposed amendments to the standard-form agreements used in emissions trading. For practitioners and policymakers working to ensure the continued viability of the EU ETS as a tool of environmental policy, this book will prove of immeasurable value. 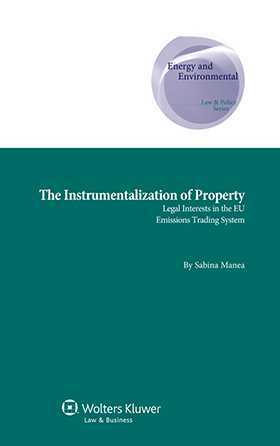 In addition, the book provides a springboard for the conceptual exploration of the contemporary nature of property, the traditional understanding of which needs to be revisited in order to enable such rights to meet the requirements of new, and specifically regulatory, contexts. The book therefore speaks to the environmental community, to regulators, economists, scientists, lawyers and campaigners – to all those who are preoccupied with the effectiveness of environmental policy. The book also speaks to property lawyers and theorists, as it illustrates the changing nature of property in the regulatory state.